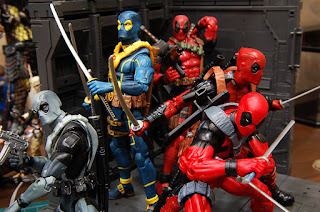 But i'm so glad that they didn't! 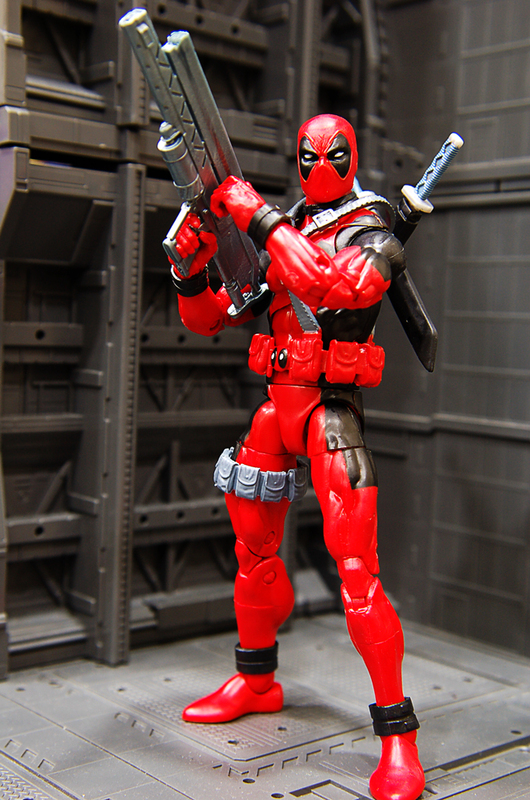 This might be my favorite Marvel Legends Deadpool! Oh man, i thought modern Deadpool was great but classic Deadpool manage to be even better! He has the new butterfly chest joints for the new skinny body mold which is just fantastic, it gives him so much articulation. 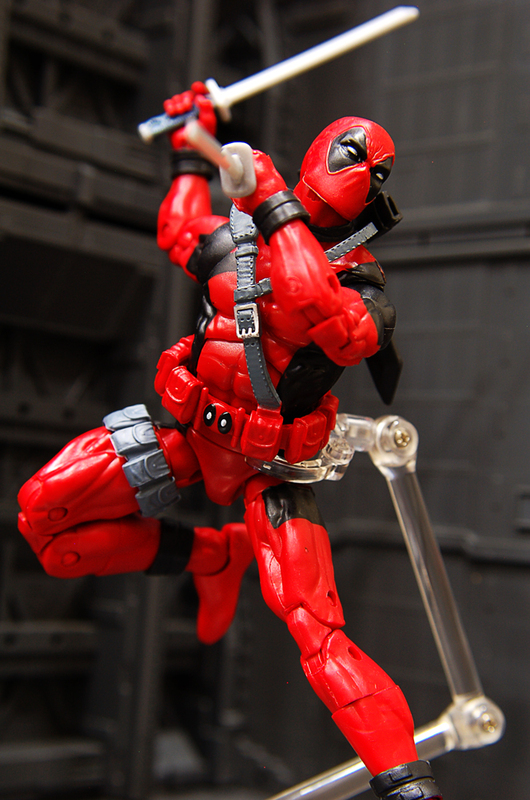 Also check out those little studs on that harness, beautiful. He's even made of sturdier plastic than modern Deadpool which while i love modern Deadpool, those gummy soft plastics are just the worst. 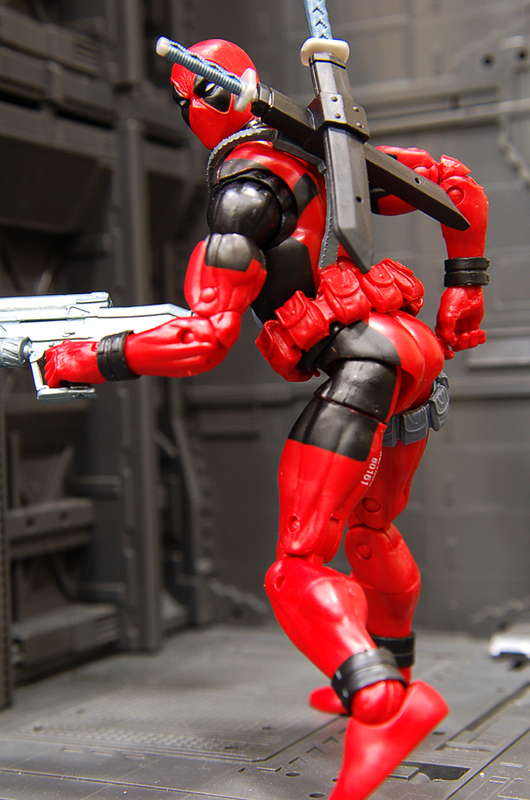 My only complaint bout this figure is the real barebones release. 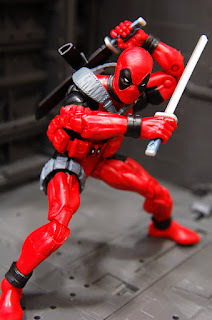 He doesn't come with anything except his 2 swords and that's it... no guns, no knife, no chimichangas like modern Deadpool who was loaded with extra knick knacks. Otherwise, he would have been a great release. 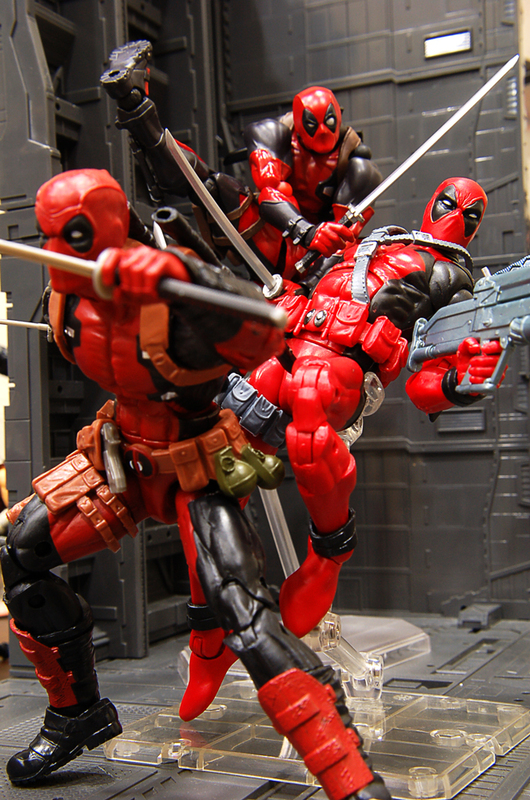 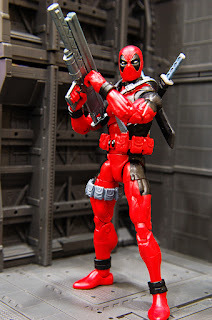 Revoltech Deadpool is still the best 1/12 Deadpool for me, but classic Deadpool is currently my favorite Marvel Legends Deadpool. 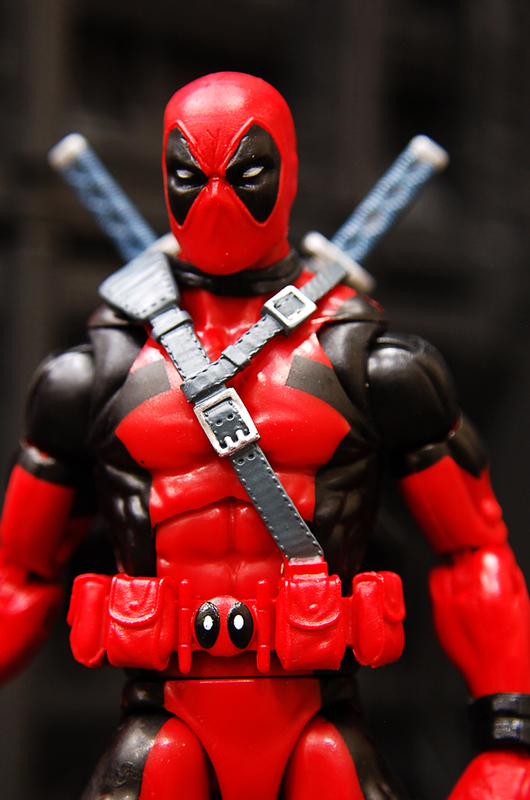 If you're a Deadpool fan,you can do no wrong getting him. He's a solid solid figure.